Super Colon Cleanse Guide | 7 Natural Methods for 2019! Your digestive system plays an important role to get a healthy and fit body. One of the important organs in our digestive system is the colon. For the optimal functioning of your digestive system, you need to take care of your colon health. Your colon needs to be cleaned to ensure proper digestive health. Colon cleansing can help you in many ways to improve your digestion that will ultimately contribute to a fit and slim body. Colon cleansing will cure irregular bowel movements and constipation. Some studies also support that colon cleansing will minimize the risk of colon cancer. Today, there are many supplements available for gut cleanse purposes. These supplements can help to boost your colon health. If you’re looking for some natural solutions, you can go with a natural colon cleanse method. These are easy to follow and will offer maximum benefits. In this article, we will discuss different aspects of colon cleansing with benefits and risks. We will also offer seven natural methods that you try anytime to cleanse your colon and to maintain your digestive health. What is Natural Colon Cleansing? In natural colon cleansing, you do not need to depend on specific products and supplements to cleanse your colon. Instead, you need to use some natural products. These natural products are effective to clean the large quantities of toxic waste from your colon walls. Colon cleansing can help to lose your weight naturally. It will also improve your mental look and will boost your immunity. Is a Colon Cleanse a Good Idea? The natural bacteria in our colons can detoxify food wastes and the liver can neutralize toxins. Additionally, the mucous membranes in our colon can prevent waste substances from entering internal tissues and blood. In brief, you can say that our body is capable enough to deal with waste deposits. You might be thinking if our body is naturally capable to cleanse the colon, then why you need to follow different methods to cleanse the colon. Currently, you might not find any proven benefit of colon cleansing. 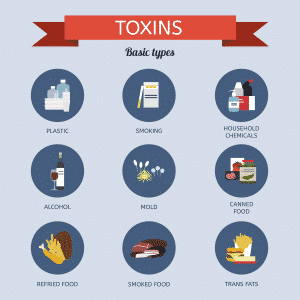 Is Cleansing Safe For Everyone? Natural colon cleansing is safe for most of the people. You can practice it at home. More importantly, you do not need to spend much for natural cleansing. If you combine natural methods with fasting or if you increase the frequency, you can experience some side effects. You need to be a little careful if you are suffering from blood pressure. In that condition, you should avoid salt water flushes and make sure that your sodium intake is low. However, it might be harmful if you do not follow it properly. If using a product, read and follow directions carefully. And, always consult your physician. What Are the Possible Side Effects of Colon Cleansing? If you experience any of these symptoms, you can stop the cleansing immediately. Otherwise, it might damage your digestive system. When the side effect is severe, it is better to see a doctor. Healthy individuals will not experience any side effect. But yes, overuse can cause chronic constipation and even bowel injury in rare conditions. You should make the process slow and gradual. If you are making major changes in your diet, it is better to take the suggestion of your doctor. That will include significantly increasing your fiber, smoothies, resistant starches, and juices. You need to be careful while taking herbal teas. Some might affect your medications. You should refrain from taking laxatives more frequently. Laxatives can be harmful and can lead to chronic constipation. There are many easiest ways to cleanse your colon naturally. Most of them are safe if done properly. Followings are seven natural methods that can be tried safely at your home. Water is one of the best colon cleanse methods. Also, it is the safest and easiest way to clean your colon. Water will moisten your stool and will ensure easy passage through your colon. If you do not drink an adequate amount of the water, you will be dehydrated causing a few bowel movements. Your body will need more water and in the absence of a sufficient amount, it will reabsorb from your bowel. As the result, the stool will be dry and hard and you will have the difficulty to pass stools. Our body is different so our water needs. But you need to drink enough water every day. 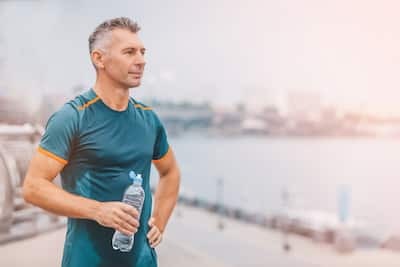 Numerous studies have been performed on the importance of staying hydrated alone. Instead of drinking other beverages, you should drink plain water. Plain water does not contain calories and does not contribute to the weight gain. According to a 2013 study report, if you drink more than four cups of water on a daily basis, it will decrease the risk of colon cancer. Constipation is one of the major causes of colon cancer. The same study also says that if you drink more than eight glasses of water every day, it can cure constipation and can offer some other health benefits as well. Fruit and vegetable juice has some properties that can help to cleanse your colon. They can work as a super colon cleanse if taken correctly. Fruit and vegetable juices have fiber, natural sugar, and phytochemicals that will cleanse your colon naturally. 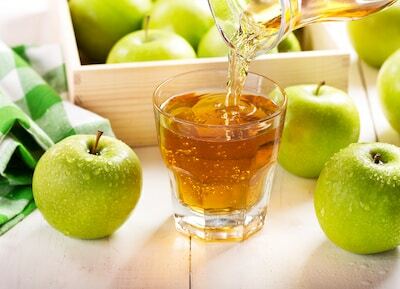 You can drink different types of juices such as the apple, pear, banana, prune, grape, kiwi, plum, persimmon, and lemon juice for colon cleansing. Some cleansing methods suggest consuming fluids only for a few days to improve your digestive tract as well as to cleanse your colon. But some health authorities do not support this method. 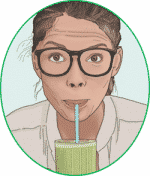 They believe that raw fruit juices can be hard on your liver and kidneys. If users do not follow any proven method to kill those viruses and bacteria, then they can be ill. 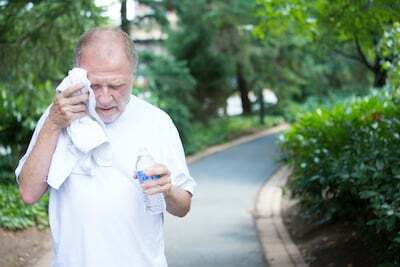 It can be very harmful to some chronic disease like diabetics. You can take them in the form of smoothies. It will keep water, fiber, and nutrients intact. Fiber has a number of benefits. It adds bulk to your stool and increases the bowel movements. It cures constipation naturally. You will get fiber from nuts, seeds, beans, berries, cereals, and whole grains. If you are having difficulties to get enough amount of the fiber from your food, you can consider taking fiber supplements. Some popular fiber supplements are methylcellulose, polycarbophil tablets (FiberCon), and psyllium (Metamucil). These products are easy to consume. Some require that you take capsules 2 times daily. If you drink lemon juice regularly, it will improve your digestive health. You can get more benefits if you drink it on the empty stomach. It will enable the lemon compounds to interact with gut mucosa more easily. A clean colon is required for doing some screening test including colonoscopies. Before the procedure, you need to use a colon cleansing preparation to clean your colon. In 2015, a study done on the colonoscopies found lemon effective for colon cleansing. Before the colonoscopy, the participants received a preparation of vitamin C or ascorbic acid. Those people who had taken Vitamin C had a better bowel movement than other groups. 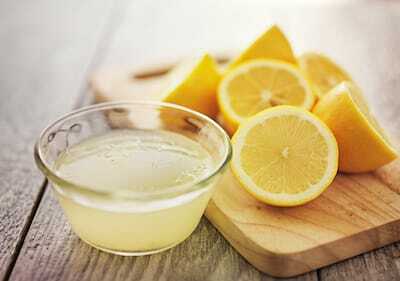 Lemon juice is effective to cleanse colons since it is rich in vitamin C. So, it acts as a natural colon cleanser. You can also consider drinking herbal teas to clean your colon naturally. Herbal tea can be effective for your digestive health. In 2014, Australian researchers found the connection between the herbal tea and colon cancer. The research revealed that herbal tea can minimize the risk of colon cancer. You can also take some natural tea such as lemon tea and ginger tea to improve your digestion. Resistant starches work like fiber. You will find them in plant foods like rice, legumes, grains, bananas, grains, and potatoes. These starches will boost your gut microflora and will promote a healthy colon. Also, they can reduce the risk of colon cancer. However, resistant starches will be available in the carbohydrates. If you are looking for a low-carb option, you can consider rice and waxy potatoes. These options cause fewer blood sugar spikes. You can include resistant starches in your diet like fiber to cleanse your colon. Probiotics can also help to cleanse your diet. In addition, they can contribute to your overall health. You can get the required amount of probiotics from probiotic-rich foods such as the kimchi, pickles, yogurt, and fermented foods. If you want, you can also take probiotic supplements. Probiotic can be very effective to introduce good bacteria to your gut. You can combine it with fiber and resistant starches to maximize the benefits. You can try these natural ways to cleanse your colon. Talk to your doctor to avoid any possible side effect if you are suffering from chronic diseases.